Platform designed to highlight and celebrate Boston area technology startups. POPSignal is a platform designed to enable communities to highlight and celebrate local area technology startups, entrepreneurs and professionals – both off and online. Jay runs Shareaholic that has produced the leading browser tool for sharing, with over 1 million downloads. Before Shareaholic, Jay oversaw the design, creation and improvement of all products at Lookery, an online user‐targeting network. 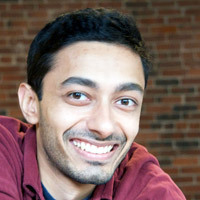 Previously, Jay was the Product Manager and founding member of the small team that was responsible for creating Compete.com, now part of WPP [Nasdaq:WPP]. He loves creating, lives for technology and innovation, and likes making things happen. Follow Jay on Twitter @meattle or his blog. I would like to let everyone know that we just opened up a brand new coworking space, right in the heart of Kendall Square and I would like to invite you to come check us out and get a tour with a coffee and croissant!